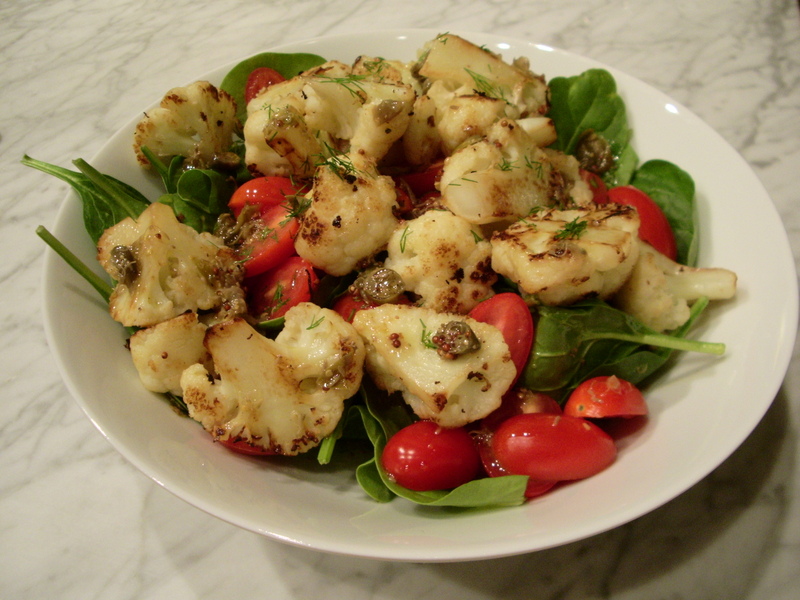 This entry was posted in Food, Lunch, Nutrition, Recipes, Salad, Starter, Vegetables and tagged cauliflower, cauliflower salad, Chargrilled cauliflower salad, superfood, Yotam Ottolenghi. Bookmark the permalink. Thanks Liz. It really is a lovely, robust salad – and a great way to have cauliflower. Here, here Georgina! So versatile too. Love the look of this salad – great stuff. Thanks Phil! I agree, cauliflower is an incredibly versatile veggie, and there are so many fabulous ways to eat it. We eat cauliflower almost every week … just had it pureed and served as a bed for roasted salmon. Keep singing its praises!! Now that sounds really lovely, Susan. Funnily enough, I don’t often puree it myself, but I know that it does goes very well with salmon, so I’ll definitely have to give that a go soon. 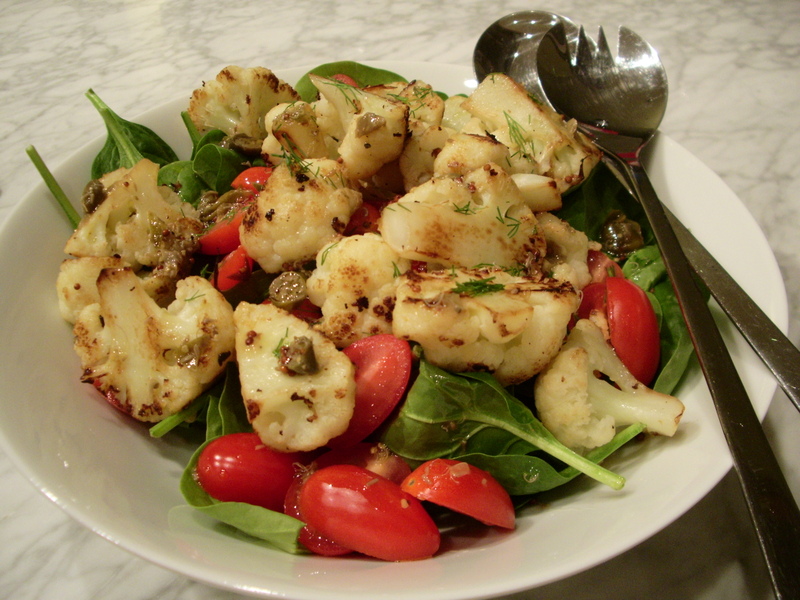 Char on cauliflower – yum! And that’s a beautiful looking cauliflower you got there! It’s a great recipe Priya. And cauliflowers really are remarkably photogenic, aren’t they!! I’m glad that you like it. And thanks for your comment! I agree. And unlike Nigel, I really wouldn’t like to go too long without some cauliflower… I’m always finding new and interesting ways to cook it. This looks delicious! Inspires me to try something like this….going to bookmark it! Thank you. Did you try it? Cauliflower really is a fabulous vegetable, and this is an incredibly tasty salad – a great way to give it a go! I’d take cauliflower over broccoli any time 🙂 I love a good cauliflower cream soup and I bet I’d love it this way too. I totally agree about having cauliflower over broccoli. And yes, I’m sure that you’d enjoy this soup too.